GRAND MARAIS, MINNESOTA - November 3, 2017 (LSN) - Traveling silently through the boreal forests of Northeastern Minnesota by dog team, sled runners can be heard swooshing along a narrow, tree-lined trail. The dogs’ breath rises above them in clouds as they quietly pant to the rhythm of their movement. The mild scent of balsam wafts by. The backdrop: a crisp, pristine winter forest filled with white & green. Birch trees arching over the trail, heavy with snow, create a magical entry to the winter wonderland at Points Unknown (www.points-unknown.com) in Hovland, MN. You could be having this *MUSH* fun! 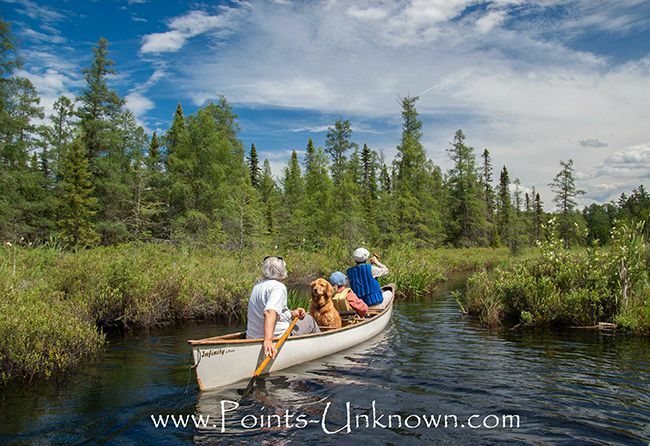 Points Unknown is located 7 miles up the Arrowhead Trail in Hovland, Minnesota just a stone’s throw from the Canadian (Ontario) border and close to Grand Marais, MN (USA). 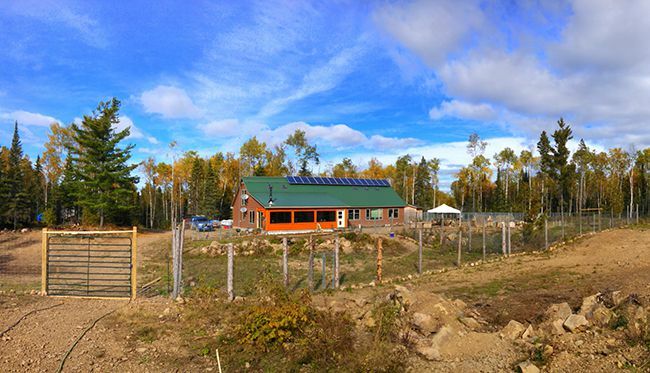 Our modern off-grid homestead rests on 40 acres of wilderness with state land all around. This has been a dream for many years and after years of planning we “arrived” full time, over 4 years now. Linda was a real estate appraiser in the Twin Cities area for 23 years and Neil was in the medical field, traveling back and forth to England, where he is from, to work. 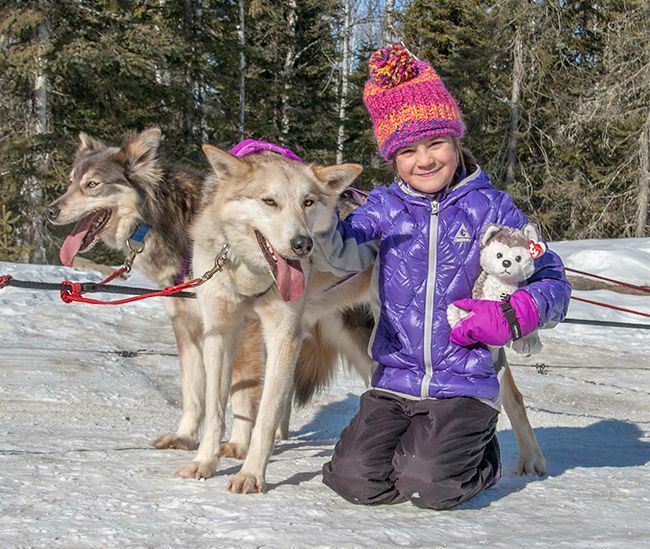 We were told that it really was best to bring our work with us when moving to this remote area so we did just that only Linda left the appraisal world behind and decided to focus on her passion working with traditional sled dogs and another interest. Handcrafting pure beeswax candles using power from the sun is the other passion and her Scent from Nature: 100% Pure Beeswax Candles (www.scentfromnature.com ) can be found online and at many natural foods coops in the Minneapolis/St. Paul Minnesota area and our local coop in Grand Marais. You will also see us at the Minnesota Honey Producers State Fair Booth in St. Paul, MN in August running the annual fundraiser, which keeps us in the cities and away from our remote home for up to three weeks off and on. Coming from a remote, off-grid homestead and living with dogs where a trip to town may take place every other week to a mini metropolis on the State Fairgrounds where we might encounter a population on any given day of upwards of 200,000, is quite the opposite experience. 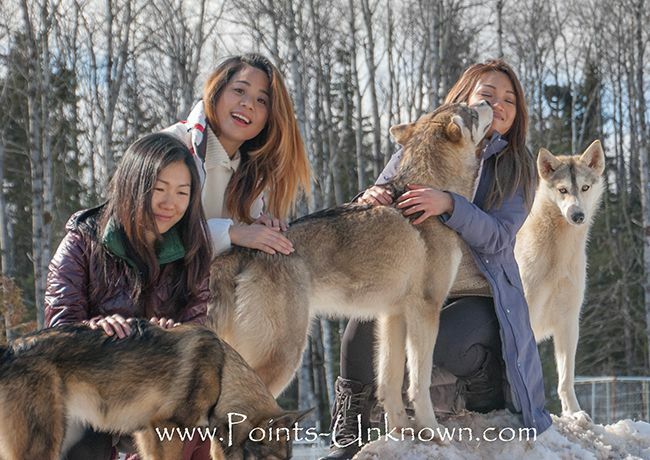 Not just an educational dog sledding adventure destination where you can learn to work with the sled dogs, Points Unknown, with 29 sled pets, is the largest kennel in the world for a rare line of traditional Alaskan Village dog called a Hedlund Husky. (www.hedlundhusky.com) We’re part of a preservation project for this versatile line of traditional sled dog, that began in the 1930s in the Illiamna Region of Alaska by the Hedlund family for their subsistence lifestyle. We are part of a small group hoping to keep the Hedlund Husky alive and thriving for generations to come. These are a versatile line that have the focus and drive to pull sleds but are also quite at home relaxing on the couch in the evening. These long-legged and furry traditional dogs are the perfect ambassadors for what we do and seem to delight in sharing their happy lives with our visitors. Folks can come for a kennel tour year ‘round or participate in any of our dog sledding experiences that are educational in nature and range from 1.5 hours to 4 days long. It is more than just a ride and we will customize your experience for one single person or a small group. In addition, we recently opened a Guest Suite that is open year ‘round and turns into a Bed & Sled in the winter time. (www.points-unknown.com/bedsled) You can stay with us and immerse yourself in our off-grid lifestyle at any time of year or passively enjoy this lifestyle and use our guest suite as your home base for adventure. So what do our guests think about our dog sledding adventures, guest suite and paddling & hiking guide services? You can visit these links to find out and we sure do hope to see you soon!